Relying on manpower or divine powers? 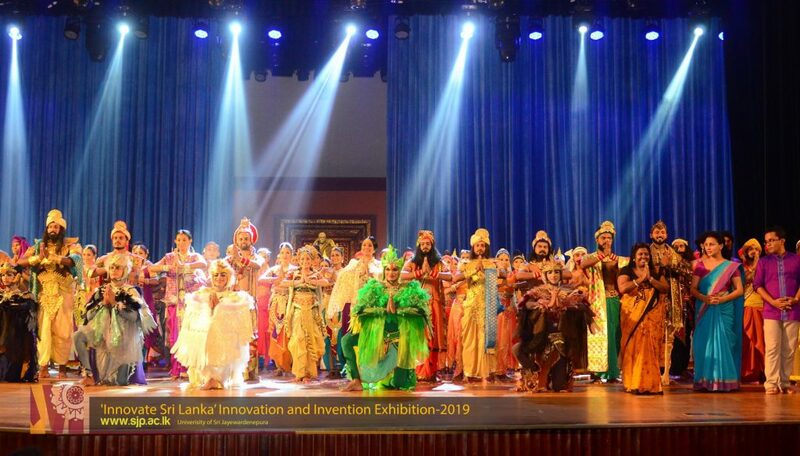 The University of Sri Jayewardenepura or USJ, celebrating its 60th Anniversary as a recognised university this year, had hosted two main events to mark it. One involved in kicking-off of USJ’s long-term vision of becoming the University of Innovation, tag-lined ‘Innovate Sri Lanka’. The other was the staging of the in-house produced performing art in the style of a musical titled ‘Sandesavali Kavinaluwa’. This was a dramatic recreation of five different Sandesa Kavyas or poetical works using birds as messengers to plead with guardian deities for boons. These five Sandesas belonged to the Jayewardenepura-Kotte period of Sri Lanka’s history when Parakramabahu, the Sixth, ruled Lanka during 1411-66 CE. The messages delivered by these two events, respectively, were in contrast with each other. The first one was concerned with the commercial application of scientific and engineering inventions created mainly by USJ’s students and academic staff. It is a project relying on human efforts, abilities and skills for success. The other was to engage the five messenger birds to appeal to God Upulvan to protect ‘the university named the University of Sri Jayewardenepura to be established in the capital city’ in the future. It relied on divinity to deliver success to the university. Apparently at first sight, these two events offer a paradox. The first one calls for human power to build the university. The second one appeals to the supernatural powers to do the job. This is not in line with the thinking of two prominent former Vice Chancellors of USJ. Its founding Vice Chancellor, Ven. Weliwitiye Sri Soratha Thero, is reported to have advised the students that they should be ‘challenging, probing and critical’. The wisdom so enunciated by the erudite Buddhist scholar required students follow principles of scientific inquiry when making decisions. Thus, a belief should not be accepted unless it is validated by evidence. USJ’s fifth Vice Chancellor, Ven. Walpola Rahula Thero, in a booklet published in 1932 titled Sathyodaya had advised fellow Sri Lankans not to seek boons from divinity because they are inferior to humans. This book can be downloaded from the digital repository of USJ. Both these erudite Buddhist scholars preferred human power to divine powers. But at close examination, it is clear that there is no paradox in the two events hosted by USJ. In fact, they are complimentary to each other. The first one relates to USJ’s role as a catalyst in framing Sri Lanka’s future based on science and technology combined with entrepreneurship. As a nation aspiring to become a rich country within the next 25 to 30 year period, Sri Lanka’s future depends on being a nation of creativity. Countries like Singapore, South Korea, Taiwan and Hong Kong which were at the same stage of development as Sri Lanka about half a century ago became rich nations by mastering science and technology. The university systems in those countries were effectively used by the respective political leaders to attain this goal. Lee Kuan Yew of Singapore compelled its universities to get affiliated to the best of the best universities in USA to make that country a nation of science and technology. Even as late as 1999, the Singapore government advised its higher learning institutions to concentrate in the new millennium in genetic engineering, ICT, nano technology and entertainment, a combination of science with creativity, to deliver Singapore to the future. South Korea built world class institutes of science and technology to feed the growing private sector enterprises with new knowledge. Moving forward with this tradition, South Korea was able to fully implement the Fifth Generation or 5G internet technology recently, the first nation to do so in the globe. Both Taiwanese and Hong Kong universities were the catalysts in the science and technology that made those two countries rich nations within a generation. However, this was done not in isolation but in combination with creativity that comes from performing arts. This concept is not alien to Sri Lanka. According to Chulavansa, King Parakramabahu, the First, who ruled Lanka during 1153-86 CE from Polonnaruwa made it compulsory for prospective king’s servants to learn ‘sciences dealing with elephants and horses, fencing, foreign languages, dancing and singing’. Thus, in the learning modules, science was combined with creative art. In modern learning, science, technology, engineering and mathematics, abbreviated as STEM, has been highlighted as the goal of learning. As I have argued elsewhere, this should be supplemented by adding Arts, making it not just STEM, but STEAM. Sandesavali Kavinaluwa is a masterful creative work combining music, dancing, singing and performance into a single dramatic event. It is a teamwork that has drawn the talents of many artistes specialised in music, dancing or singing within the university. Yet, its creator, Hansamala Ritigahapola, deserves special credit for doing the impossible. She had directed hundreds of raw USJ students who are not professional artistes to give the best of their performance on stage. The facial expressions made by these young performers while moving their lithe and supple bodies rhythmically to the background music and sounds of drums could have been done only by trained professionals. The busy commercial streets and the grandeur of the palace in Jayewardenepura-Kotte in the 15th century had been created on stage. The colourful dresses of the stage performers, whether they are messenger-birds, ordinary citizens or members of royalty, have been a testimony to the artistic taste of those who had created the drama. Music, especially the use of ancient Sri Lankan drums, had been in tune with the melodious recitation of the select verses from the Sandesas involved. The lighting of the stage to focus the appropriate act had been done skilfully. This was in essence a human creation; not even God Upulvan would have been able to do it. The five birds, chosen for delivering the pleading to deity had been pigeon, cuckoo, lark, parrot, and swan in their female form. Ritigahapola had concealed the young girls playing the respective role in appropriate costumes in colours specific to the bird. Each one of them entered the stage surrounded by attendant birds offering a dancing style characteristic of them, while selected verses from the relevant Sandesa Kavyas were being recited melodiously in the background. The scene in the court of Parakramabahu, the Sixth, with top officials and Queen Ulakudaya Devi had been another dramatic recreation. Finally, the same unique message was delivered by each bird that pleaded with God Upulvan to protect the university called the University of Sri Jayewardenepura. It was a one and a half hour entertainment for the audience. USJ’s long term vision to become the University of Innovation is timely and opportune. Sri Lanka is at present facing the most difficult challenge in its history with respect to making a turnaround in the economy. It needs to have an annual average economic growth of about 9-10% to become a rich nation within a generation. However, the average economic growth it has maintained from independence in 1948 has been mere 4.4%. In the last six-year period, its growth had been declining from a high 9% in 2012. The average economic growth which hovered around 4% during 2013-2018 has been on a declining path. In 2018, it recorded a growth rate of only 3.2% down from 3.4% in 2017. The best estimate for the next four-year period happens to be a growth rate of about 4% or less. Corresponding to this dismal record, Sri Lanka’s exports too have been poorly performing during the previous two decades or so. Its production structure based on simple technology like tea, rubber and coconut as well as apparels cannot deliver prosperity to the country unless it moves into the high tech area. At present, only about 4% of its exports constitute this category compared with a share of about 40% reached by a country like Thailand. In the very short term, the country has to borrow technology from outside as was done by countries like Singapore and South Korea in the initial phase of their economic growth. 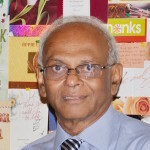 But, in the medium to long run, Sri Lanka has to develop its own capability for coming up with new technologies if it is to be a leader among peer nations. It is the responsibility of Sri Lanka’s universities, higher learning institutions and research institutions to deliver the country to the new phase of technological development. In this sense, USJ’s vision to make it an innovative university will help the country to fill a much needed vacuum. As a preliminary to this, USJ has created an Innovation, Invention and Venture Creation Council known as IIVCC. It is armed with the mission to promote innovation, invention and venture creation together with industry, business and public sector ventures. As Austrian-American economist Joseph Schumpeter had presented in 1911 in his The Theory of Economic Development, there is a major difference between invention and innovation. Invention is the creation of new things by scientists and engineers for the benefit of mankind. They would remain just prototype models in research laboratories unless they are commercially produced. That part known as innovation is being done by entrepreneurs who after assessing the commercial viability would convert such inventions to marketable products. Therefore, without risk taking entrepreneurs, inventions mean nothing to an economy. For instance, the first Apple Mackintosh Desktop computer was invented by an engineer called Stephen Wozniak. But it is not for the entrepreneur Steve Jobs who took the risk to produce it commercially, it would have just remained a prototype invention. Similarly, the gorilla glass which is being used in all smart phones today had been invented by USA’s Corning Incorporation in 1960 for the US Air Force. However, since the US Air Force did not want to use it, it remained as an unused invention for 44 years until Steve Jobs chose to fit his iPhone with that gorilla glass. Today, all smart phone manufacturers without exception make use of this gorilla glass to present a scratch free screen to their customers. This is why the business model underlying USJ’s IIVCC is important today for Sri Lanka. It aims at combining new creations by its students and staff with entrepreneurs. The latter is supposed to make use of them for making commercial productions. Coinciding with its 60th anniversary celebrations, USJ has organised an innovation and invention competition and exhibition (IICE 2019). More than 80 new inventions mostly in the robotic and ICT category have been presented for the competition by students and the academic staff of USJ. To promote private entrepreneurs to make use of these inventions for commercial production, USJ had mounted a two day innovation exhibition at BMICH. What is important is establishing this link. It should be a continuous process wherein as and new inventions are made, they should be made available to businesses for adoption commercially. Thus, the paradox created by USJ in its 60th anniversary celebrations is a beneficial one. USJ has sought divine intervention to protect the university in its Sandesavali Kavinaluwa just to follow the tradition of Sandesa Kavyas. It should not be used for the present and future strategic development of the university. But it is a marvellous creative work setting an example to USJ’s other faculties of study. What it should do now is, instead of educating students in segregated disciplines, offering multidisciplinary courses in all faculties in which science students will learn arts and arts students will learn sciences. In other words, USJ should implement STEAM to full extent. But there is a problem with this type of enterprises being implemented by both private and public entities. That is, once the existing leadership changes, there is no incentive for the successors to carry it forward. To ensure it, it is suggested that a young group of leaders should be trained at the second, third and fourth levels of succession in the university. Their job is not just continuing with the innovative process. They should improve it constantly in line with the emerging global developments. If this is not done, even the best organisation in the world will be subject to a natural death. It is assumed that the USJ’s present leadership is well aware of this important requirement. Peradeniya has a good environment for thinkers, innovators and those who want to imagine in an educated way. but it looks nothing comes out recently. Kelaniya seems doing well. I appreciate the writing. I was away from Sri Lanka and did not have the opportunity to participate in this event. Universities contribute to the development of the country by research and higher education. For example, the Australian government pay respective universities $ 100,000.00 grant for each PhD completion. But our country, the policy makers and politicians do not invest in the Universities. The scant number of comments in response to this article shows that intelligent people do not approve these unnecessary tamashas done by the vice chancellor inviting the worst human being in this world “the president” and the next in line Rajapaksa and SB. The VC is getting ready for his future after the next election. Most weekly contributions by Dr W A Wijewardena has the University of Sri Jayewardenepura (USJ) in it. Is USJ the centre of the universe? I received an invitation to the celebration in Sinhala. There was no accompanying Tamil or English translation/invitation. I wondered about why I was even invited.